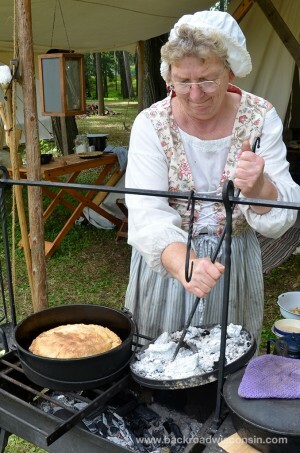 The Logjam celebrates the early history of the region and the city of Mosineee, situated on the Wisconsin River just minutes south of Wausau. 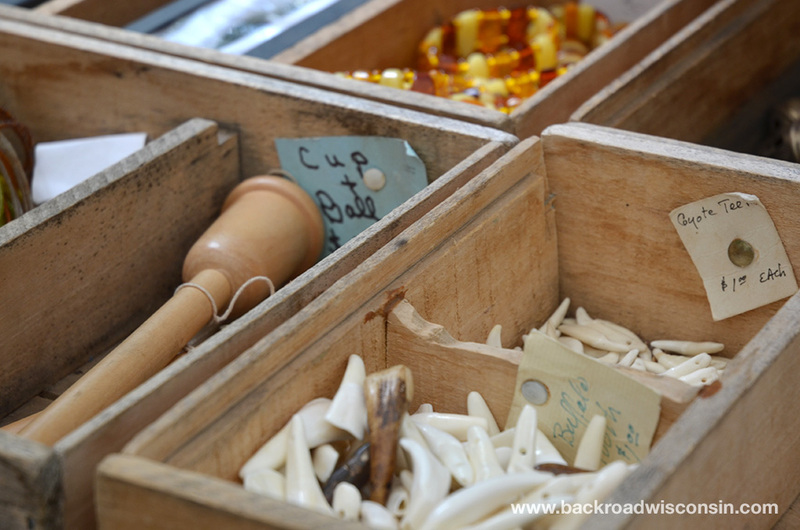 Mosinee, home of sawmills and a paper mill grew, with the logging industry but long before the days of lumberjacks and pioneers, you’d find French explorers and Native Americans roaming the lands and river. 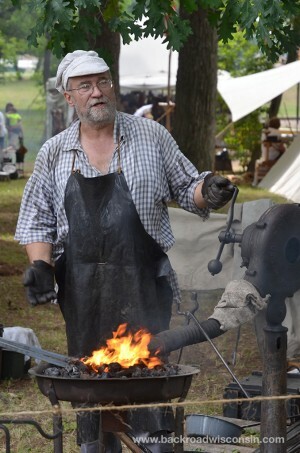 These events celebrate that early history and educate spectators on what explorer life was life 200+ years ago. 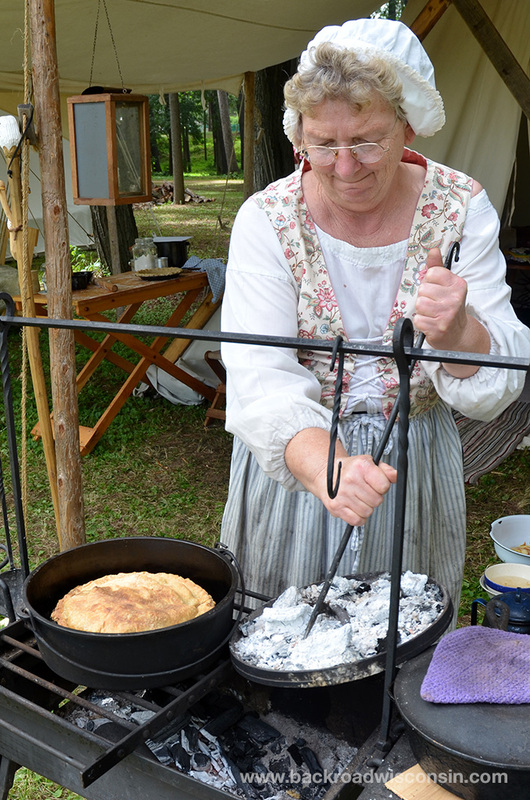 The Little Bull Falls Log Jam (named after the historic name of Mosinee) features an encampment with live reenactors and demonstrations on activities such as blacksmithing, cooking, tool making, woodcarving, and more. 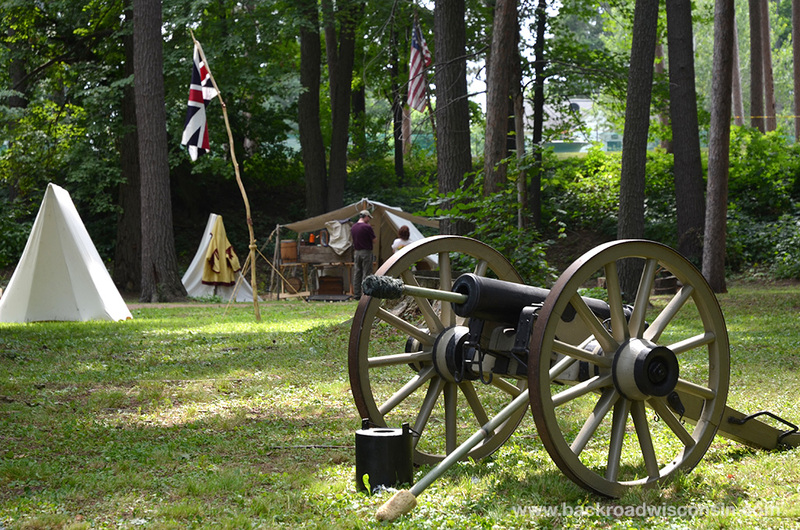 Spectators are encouraged to interact with the participants to learn more about the early explorer and pioneer ways. 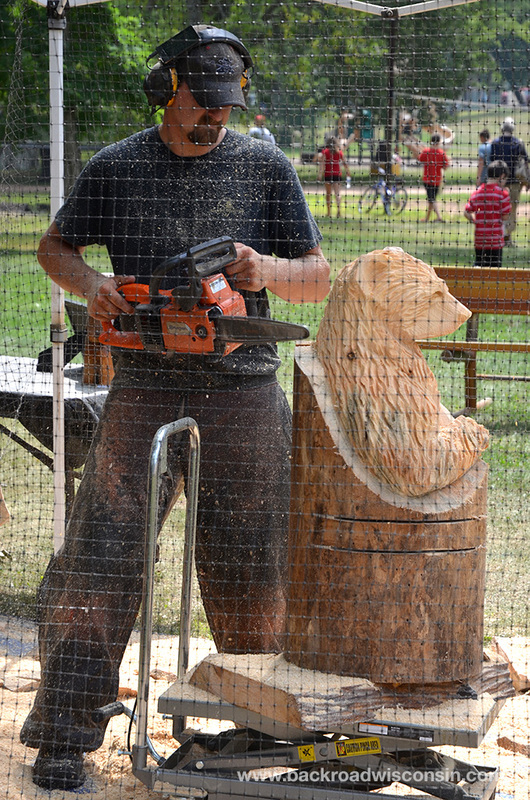 Along with the demonstrations, more contemporary exhibits abound such as chainsaw woodcarving, model railroading, and a craft fair. Plus you can quench your thirst and appetite in the beer garden and food tent. The 2015 Little Bull Falls Logjam is Scheduled for August 7-9 at the River Park in Mosinee, WI. Admission is free.